If you area a fan of Star Wars and have a Garmin GPS system you will be pleased to know that as from this week you can now be lead to your destination with directions from Yoda and the Force. The new official Star Wars Yoda Premium Voice and graphics bundle in now available to download from the Garmin website and priced at $12.99. Watch the demo video after the break to hear Yoda in action. With the graphics bundle your car is transformed by the Force into an X-Wing Fighter which ten hovers over your position on the road. 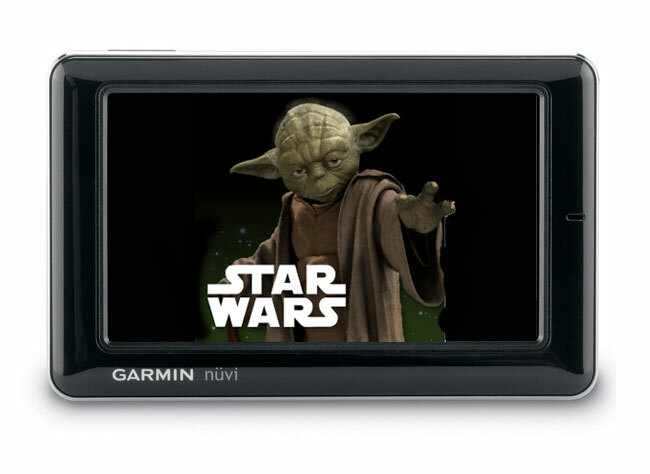 For a full list of compatible devices capable of running the new Yoda voice jump over to the Garmin website.